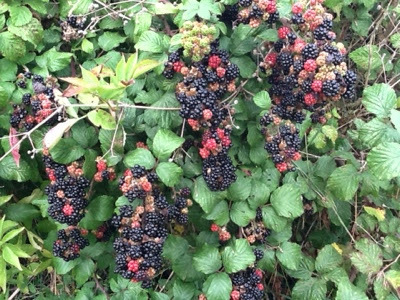 Went out for a bike ride today and came across a hedgerow overloaded with blackberries. The photo shows just a small portion of the bountiful offering. 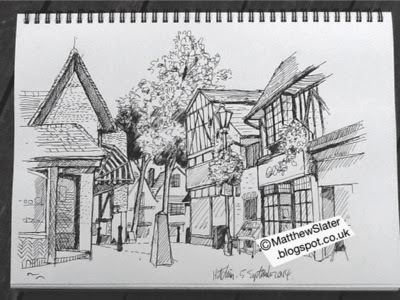 A quick sketch from my drawing pad made this morning in Hitchin. It is a little rough and wonky but I was quite pleased with the result.